MeMeBox Global No. 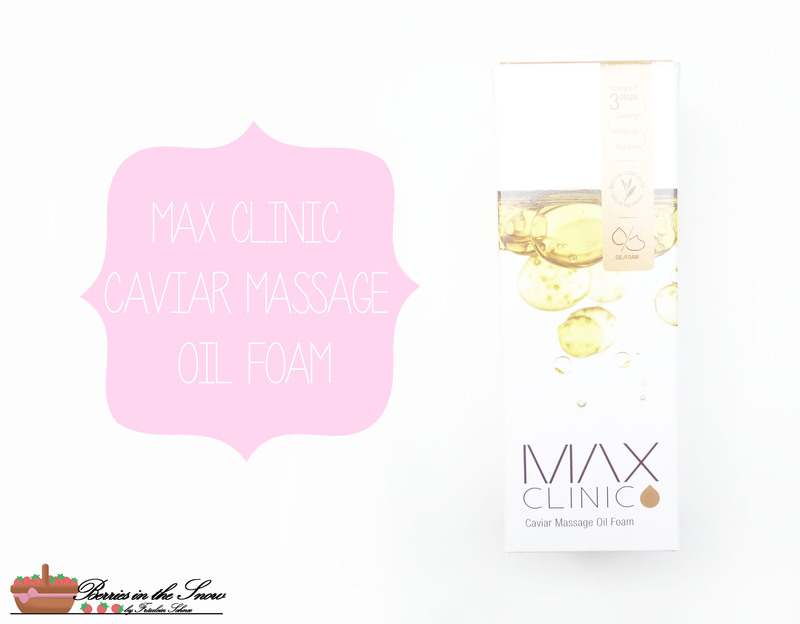 8 contained a bunch of really nice products, among those was also Max Clinic Caviar Massage Oil Foam, an oil/foam combo cleanser, making double cleansing easier and adding the extra step of massage. As some of you might know, Korean skincare routine contains the important step of double cleansing your face. That means you use two cleansing steps: in the first one, you remove the makeup, usually by using an oil cleanser, in the second step you clean your face by a foam cleanser for example. For most people this sounds like too much, but I can assure you that there is a difference in your skin condition if you do so. On the other hand, I’m mostly a lazy person, so I’m happy if things going faster…and this is exactly one aim of this combo product, because it combines those two cleansing steps in one. 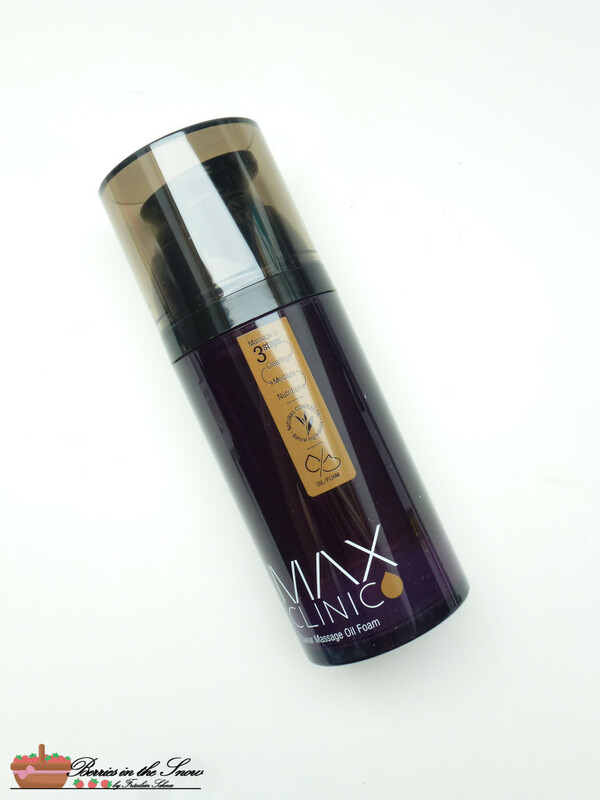 I didn’t find any specific information about the brand Max Clinic, but it is a Korean brand which seems to be on the high end level, especially according to the price of the products (see details later). 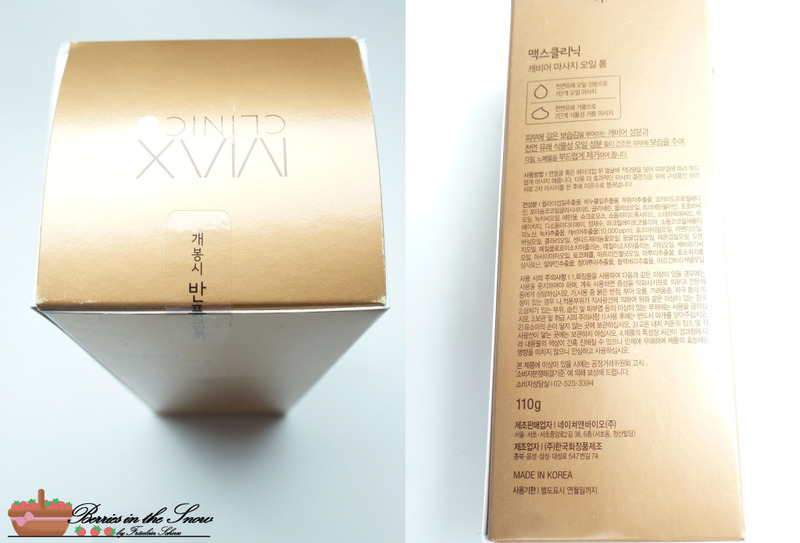 The packaging is made of a cardboard box, with reflecting sides. I think the image at the front of some oil (probably) looks really clean, but on the same time it looks attractive to me. Unfortunately, the description is only in Korean, but this explains probably, why this brand is rather unknown to Korean cosmetics lovers. 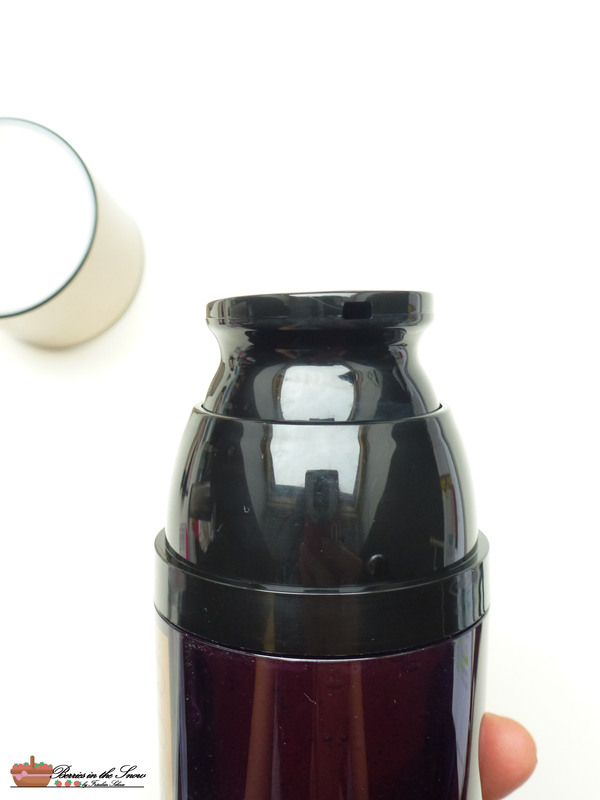 The oil itself comes in a sturdy plastic container with a pump. It has a clear, plastic protective cap, too. The pump dispenser is a bit inconvenient because it is not the long type of dispenser, where you easily can put your hand below, but you’ll always have to hold the bottle in an angular, so you dispense the product into the middle of your palms. Other than this the packaging looks elegant and the material is not appearing cheaply. In order to use this cleanser you first dispense one pump on your palms and massage it on your dry face. After massaging, wet your hands and continue massaging. The oil becomes a bit foamy, although it doesn’t generate huge amounts of foams. The cleansing oil is a clear, oil type (of course), yellow-ish colored product and smells fresh. It doesn’t smell of caviar or anything like that. By the way, apart from the caviar oil, I didn’t find any information about the ingredients…but the packaging says “natural ingredients”, so I hope that’s true. This cleanser doesn’t make your skin feel dry at all. It feels nice on the skin and I read somewhere that it is also good to use together with a cleansing brush or the electric cleansing brushes. Washing with your hands limits the effectivity of this cleanser, because in my “arm test” it didn’t remove the waterproof make up nicely (see image below). Nevertheless, the skin feels clean afterwards and if you use some other make-up remover before anyways, than it should be a nice cleanser to use. Let’s talk about the price of this cleanser. Obviously it is a rather unknown brand, but of high quality. Also the ingredient caviar oil sounds very luxurious. When I received this product with my MeMeBox Global No.8 I was shocked when I saw the price tag on the information card, because it says, that this full sized product (containing 110 g) costs US$ 73. I personally would never ever buy a cleansing oil for that price…While researching for this brand on the internet, I found that Korean resellers sell this same product for prices between 20 and 30 US$ via ebay. Still, this is expansive, but this sounds like a price more reasonable to me and lies in the range of Sum37 cleanser for example. 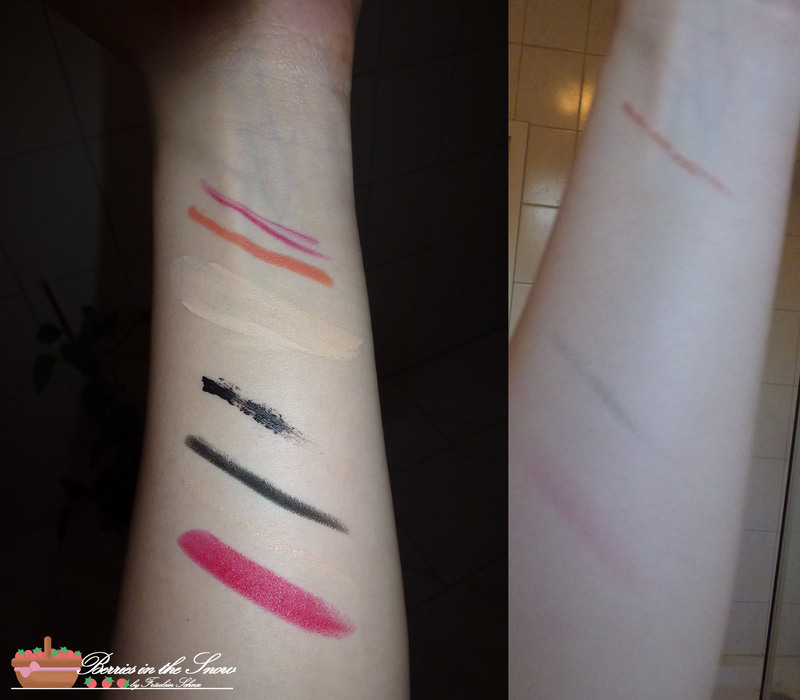 It has some downsides, like the arrangement of the dispenser and that it doesn’t cleanse waterproof make-up that easily, but it is a good cleanser all in all. Oh I was so excited when I saw you reviewed this one! But it’s so disappointing that it doesn’t remove waterproof makeup as most of my eye makeup is waterproof. I think I’ll just stick with my neutrogena foaming cleanser which removes it all! Thanks for reviewing! I was a bit dissapointed when I saw this, too, but since it was in my MeMeBox I’m fine with it. I would never had bought it myself for that price.